This set comes with 4 wood paddles, 6 Dura Fast Forty balls, a heavy duty net for attaching to your own standards, and rules. The net included in this set is heavy-duty so you will need sturdy standards - ideally embedded in the ground. 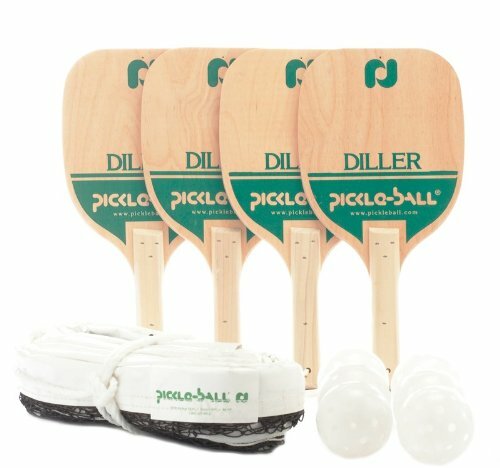 If you have any questions about this product by Pickle Ball, contact us by completing and submitting the form below. If you are looking for a specif part number, please include it with your message.